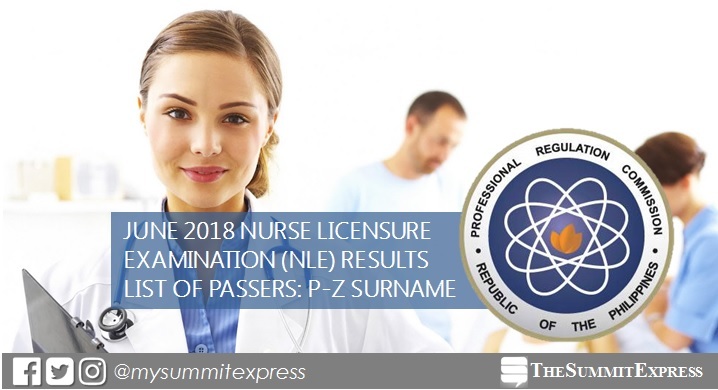 MANILA, Philippines – The Professional Regulation Commission (PRC) releases results of June 2018 nurse licensure examination (NLE) or nursing board exam in few weeks after the grueling exam. The list of successful examinees who hurdled the NLE given on June 3 and 4, 2018 is available online on Tuesday, June 19 or in nine (9) working days after the exam. According to PRC Resolution No. 2017-1068, NLE result is out on Friday, June 22 or in twelve (12) working days after the exam.